BlueBRIDGE is the new European initiative funded under the H2020 framework to further develop and exploit the iMarine e-Infrastructure data services for an ecosystem approach to fisheries. BlueBRIDGE combines the forces of European and International renowned institutions (e.g. ICES, IRD, FAO, UNEP) who share the goal of providing scientifically sound advice on the sustainable use of marine resources to their member countries, international organizations and relevant Commissions, but also at local or individual level for national academic institutions and SMEs. 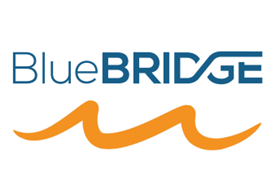 BlueBRIDGE will deliver Virtual Research Environments (VREs) in various domains (e.g. fisheries, biology, economics, statistics, environment, mathematics, social sciences, natural sciences, computer science) that support knowledge generation from data collection and aggregation to the production of indicators and indices or other information products such as fact-sheets, reports, and data repositories. Communication - Trust-IT will be responsible for defining, coordinating and monitoring dissemination, outreach and training activities throughout the life-time of BlueBRIDGE. Trust-IT will also promote best practices, success stories, community standards & recommendations through the BlueBRIDGE website for both users as well as service providers. Stakeholder Engagement - Trust-IT will identify keytarget stakeholders for engagement in BlueDRIDGE, while expanding sinergies with new communities through different activities such as evetns partecipations, workshops and working groups. Knowledge Transfer - Trust-IT will contribute to the exploitation of the BlueBRIDGE results through best practices and specific training materials to inform and educate potential customers in scientific, industrial and commercial domain.